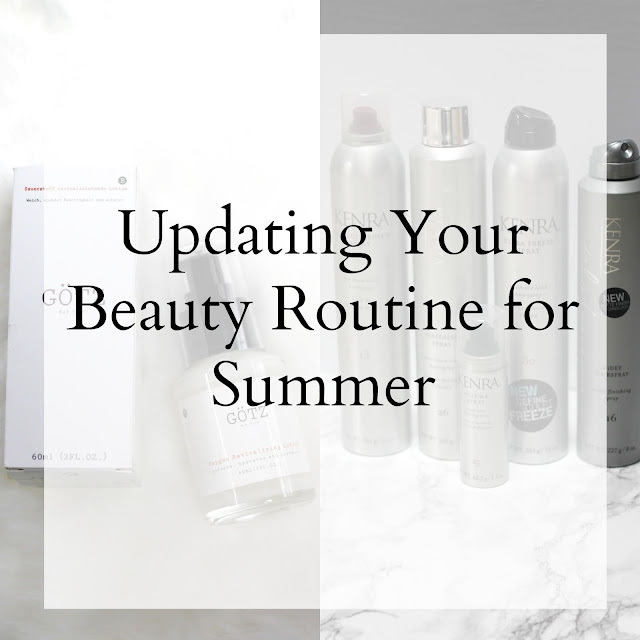 Using the same beauty products year round would be like wearing the same type of clothing year round! Your skin and hair are affected by the elements and changes in weather. Some of the things like my toner or sunscreen are great year round, but other products I am switching up or adding. One of those is moisturizer. I want a lighter weight one. I also use hairspray more often to help humidity proof my hair. So I am sharing some products I've been using and my thoughts on them. Although my skin tends to be a bit more on the drier side, in the summer with the high humidity I don't want a thick moisturizing lotion. I want something lighter weight that can help control some of the oil that tends to come with summer. Recently I had the opportunity to try Revitalizing Lotion B which is an oil control lotion I thought would be perfect for warmer weather. It contains Bad Ischl unique spring water, which promotes nutrients for deep layer penetration. 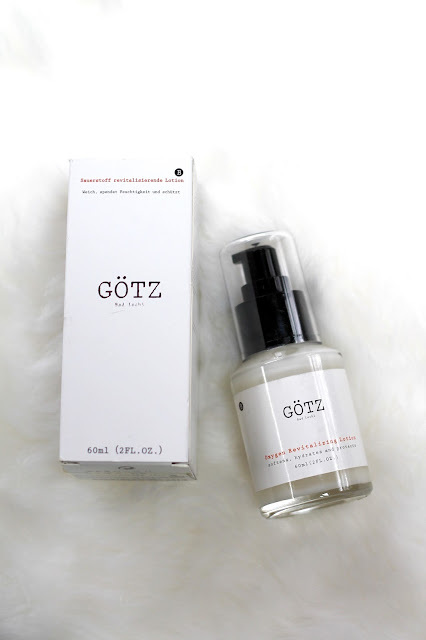 It also has daisy flower, witch hazel, edelweiss extract to help with oil control and balancing oil secretion and sunflower oil and jojoba oil to help moisturize and firm the skin. It does not contain any fragrances, added colorings, or mineral oils. 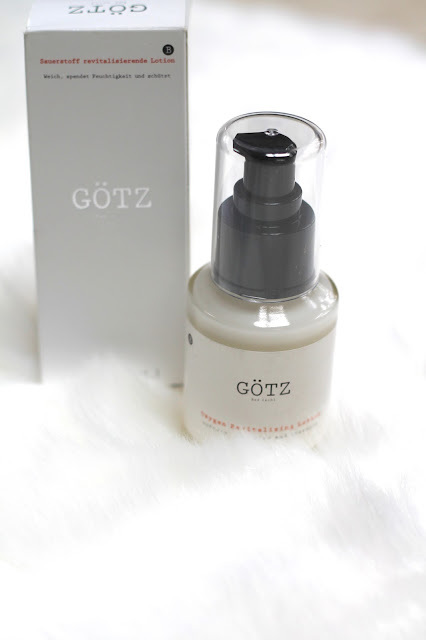 I found the moisturizer to be very lightweight and easily absorbed into the skin. I applied mine right after toner and serum and then waited a few minutes before applying makeup. Overall I liked it and look forward to continued use this season. It did seem to help with oil control especially on days with high humidity and towards the end of the day. At around $42, it is a little pricier, but you only need a pea sized amount so one bottle will last quite a while, especially if you only use it during the day. The first is the Kenra Perfect Medium Spray 13. It is my favorite of the collection because of the touchable hold and high shine. It wasn't stiff, but had good hold. The second is the Kenra Platinum HiDEF Hairspray 16. It is perfect for those high humidity days when I want beachy waves. It dries matte and dries on contact, but remains brushable. Kenra Volume Spray 25 has the highest hold of the collection and adds volume. It is also resistant to high humidity and winds which is great if you live by a large lake or body of water that gets those breezes all the time! This will give you a long lasting hold, up to 120 hours! 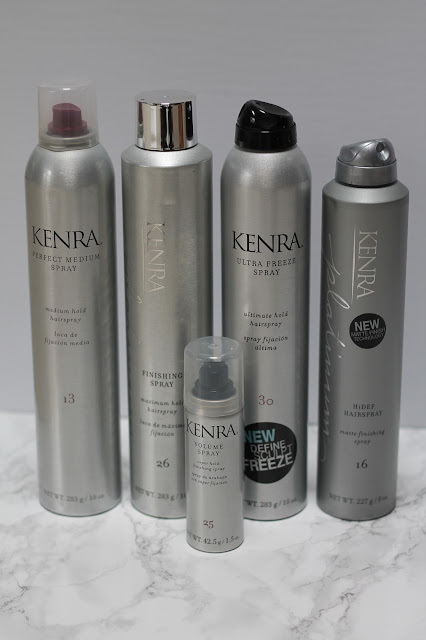 The Kenra Platinum Finishing Spray 26 is a firm holding hairspray that provides maximum control with long-lasting lift and style retention. Its finish is high shine and also humidity resistant. This spray actually helps to extend the life of color. 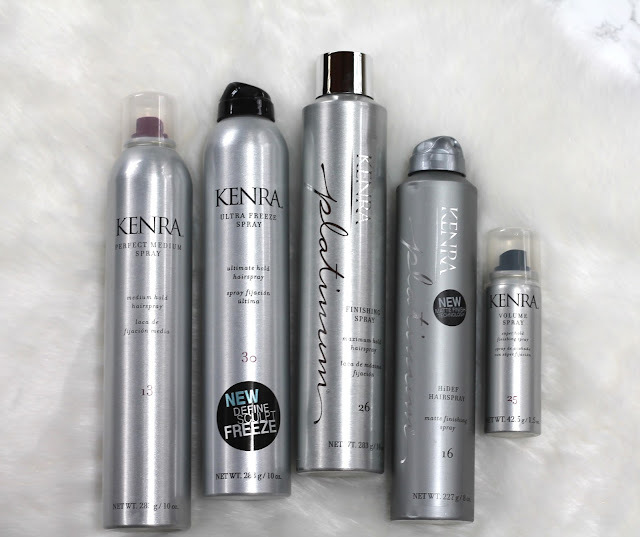 And finally Kenra Ultra Freeze Spray 30 has a firm hold to define, sculpt, and freeze your style into place. It has a high shine, flake-free finish that is humidity resistant. There is definitely a spray for any kind of hairstyle you are looking to try this summer! These products were provided to me free for review, but all opinions are my own. This is such a great point Laura!! And especially your analogy to different clothing for the seasons, so why not different products?? Great points Laura. I tend to use the same facial products but I get more humidity proof stuff. I agree! A lighter moisturizer in the summer is a MUST. I have oily skin and I don't need something heavy that is going to make it even oiler! I'll have to check out this lotion. I have a favorite hairspray, but I've been wanting to look into some texturizing sprays. I never thought of a hairspray to be humidity resistant, but that makes perfect since! I'll have to check these hairsprays out, too! Thanks for sharing these products! I love Gotz and need to try this new product from them. I love these products, too. Great picks! I had not thought of it that way but it is true ! we should adapt our products to the season we are in. I'd never heard of Kenra or Gotz.